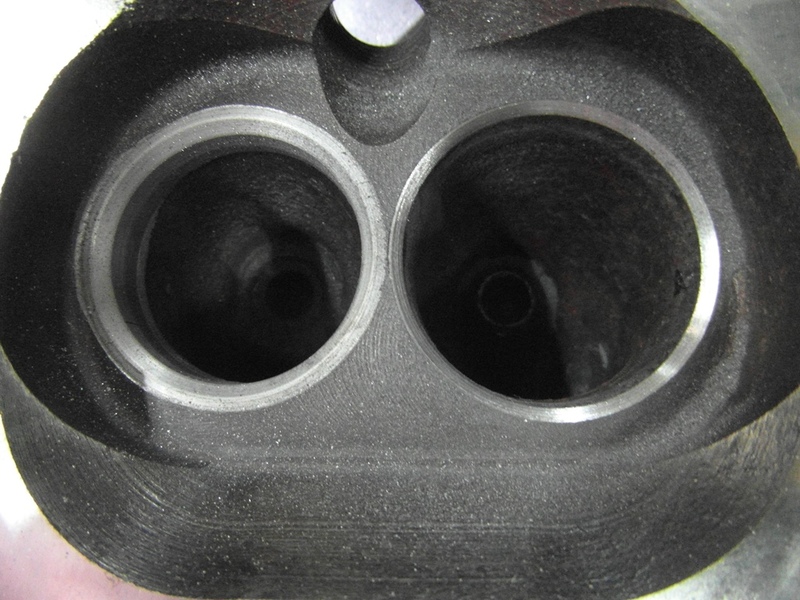 Below is the tool for cutting the inlet valve seats. They were in good condition, so this is just a light cut before "lapping in"
Below, John cutting a seat, The mandrel must be a perfect fit in the valve guide to ensure a straight cut. 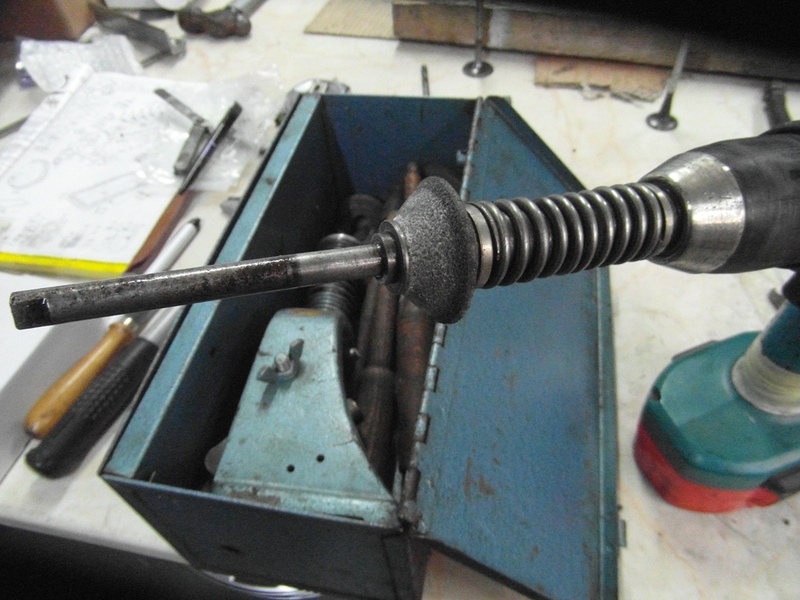 The drive "spring" between the drill and the mandrel ensures no side load from the drill is put on the stone / valve guide. 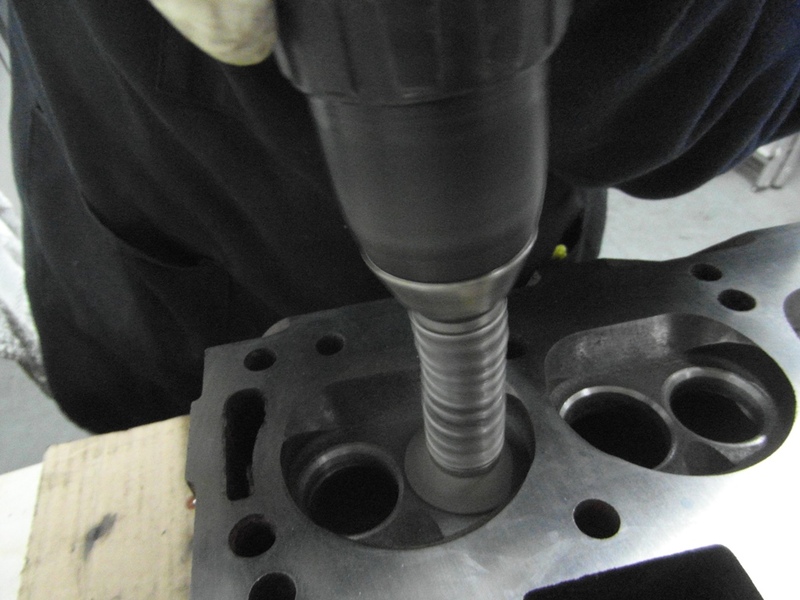 Below you can see John "lapping in" a valve, using an air tool that oscillates the valve head. This used to belong to my Grandfather, who was using it when my father was a little boy and he is 85! All valves done, not quite, the two with a X on needed a third grind. 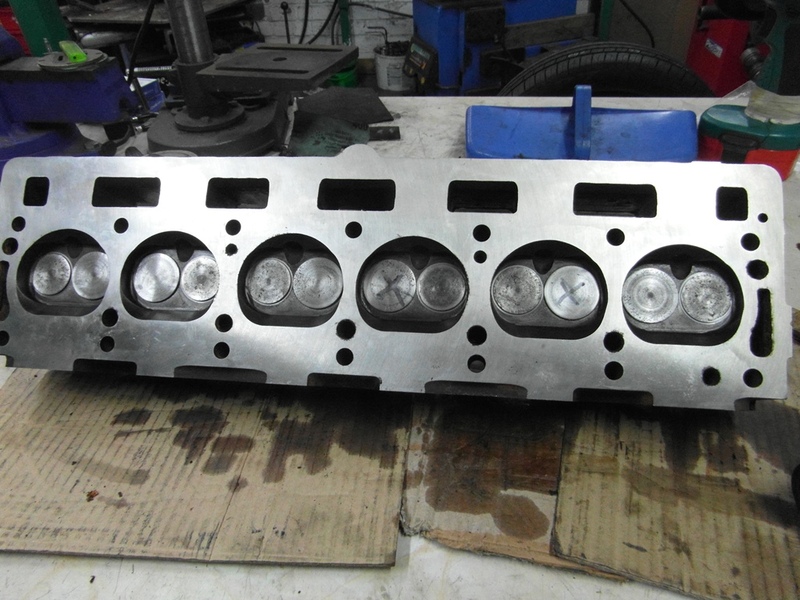 To check the seal, valve springs were fitted and ports filled with brake cleaner, very very searching. No leaks mean an air tight seal.